Sisters of Color United for Education Building (S.O.C.U.E. ), Denver, CO.
We were students at MSCD when we painted this mural . Carlos Fresquez, our professor, started us on our journey but it was the students as a group that came up with the design and executed it. The painters/designers are, Lauri Keener, Laura Zapata, Mehrnaz Habibi, Evelyn Hernandez, Jason Clark, Jesse DeLeon, Cori Ducombs, Ashley Frazier, Laura Schmidt, Bobby Magee Lopez, Kelsey Sletto, Jenna Koenning, Fonda McDonough, Audrey Potter, Andurial Widmark, and Don Callarman. There were also a number a volunteers from the community who came to paint. Painted live on the door at quixote's True blue to praang. 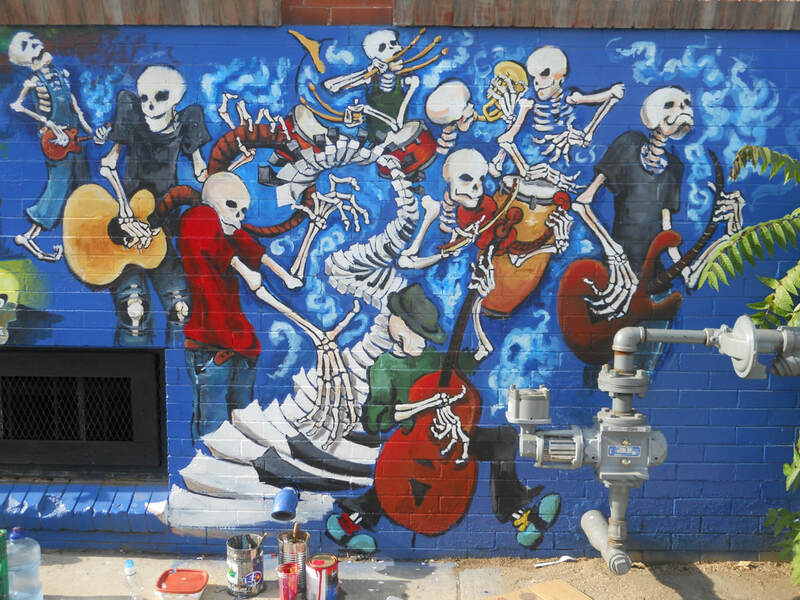 Quixote's True Blue- Denver, CO.
For this project, I got to join alongside artist Don Callarman to paint a mural on the exterior of Quixote's True Blue, a music venue in Denver, CO.
Skeleton Band, painted on the Exterior of Quixote's True Blue (Has since been torn down). 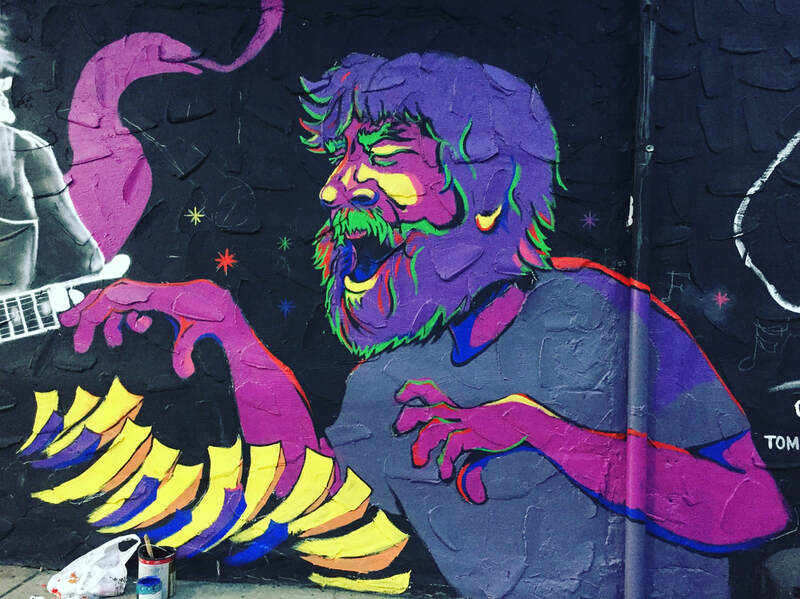 A mural of Brent Mydland that I did on the exterior of Sancho's Broken Arrow, Fall 2017. About 12 ft wide 10ft tall.